Q: How do I join the Burgio Health Alliance? 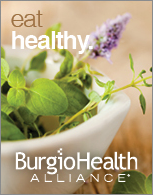 A: Joining the Burgio Health Alliance, or BHA, is easy. Click here to find an on-line membership application. You can begin enjoying your BHA benefits today. If you would like to learn more about the many benefits BHA has to offer, click here for more information. Q: What is the Burgio Health Alliance? 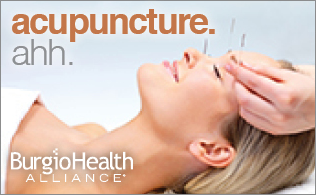 A: The Burgio Health Alliance, or BHA, is a community of individuals, like you and BHA allies-- alternative medicine practitioners, professionals and business owners, who are committed to your providing the best for your healthcare needs. BHA is designed to make living a healthy lifestyle easier, more convenient and more accessible for all individuals and to enable stronger relationships with the practitioners and others who offer products and services for your health and your health-related needs. BHA offers its members alternative healthcare information, education, tools and resources and a large network of allies, who offer discounts on alternative medicine healthcare services and healthy living products in addition to online shopping, a rewards program, and other benefits that make BHA an excellent value. Q: What is Alternative Medicine? A: In today's modern healthcare system, alternative healthcare treatments and remedies are proven compliments to conventional and western medicine. With a wide-range of options, alternative medicine can be an effective component to an integrated approach to the prevention of and caring for injuries, illnesses and disease conditions. 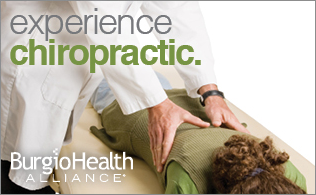 Alternative medicine providers include chiropractors, acupuncturists, holistic medical doctors and others. Please visit our BHA network of allies to learn more about the alternative healthcare providers and the many benefits they can provide for you, our BHA members. 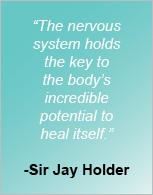 Click here to learn more about alternative medicine and its benefits for BHA members. Q: How much does it cost to become a BHA member? A: Becoming a Burgio Health Alliance, or BHA member, is easy and affordable. Click here to learn more about BHA membership fees. If you would like to learn more about the many benefits BHA has to offer, click here for more information. Q: How do I become a Burgio Health Alliance ally? A: Becoming an ally with the Burgio Health Alliance, or BHA, is easy. Click here to take your first step toward offering your products and/or services to BHA members for purchase. If you would like to learn more about the many benefits of becoming a BHA ally, click here for more information. Q: How do I offer the Burgio Health Alliance to my employees or group members? A: It is easy to make the Burgio Health Alliance, or BHA, available to your employees or group members. Click here to take your first step toward enjoying all the benefits BHA has to offer you and your employees or group members. If you would like to learn more about the many benefits BHA has to offer, click here for more information. Q: How can I earn rewards through the Burgio Health Alliance? A: There are many ways members and allies can earn reward points with the Burgio Health Alliance, or BHA. If you are a member, or are considering a BHA membership, click here to learn more about the BHA rewards program for members. If you are an ally, or are considering to become a BHA ally, click here to learn more about the BHA rewards program for allies. Q: How do I add family members to my Burgio Health Alliance account? A: Once you have a membership account with the Burgio Health Alliance, or BHA, adding family members is simple. Click here to be directed to your BHA Account Summary, where you can add family members. Your membership fees will be automatically adjusted and billed to the credit card you have on file with your account. If you are not logged into the BHA Benefits Portal, you will be asked to first login and then be directed to your Account Summary. Q: What do I do if I have a problem with a Burgio Health Alliance ally? A: If you have a problem or need assistance of any kind, please contact us directly or provide us with your contact information and we will get in touch with you right away. Click here for our contact information, or to provide us with your contact information. Q: What do I do if I have a problem with the Burgio Health Alliance Benefits Portal? A: If you have a problem or need assistance of any kind, please contact us directly, or provide us with your contact information and we will get in touch with you right away. Click here for our contact information or to provide us with your contact information.